If Tregastel-Plage is famous is because of its many beaches with water for swimming and golden sand that borders. In addition, the pink rocks that you can find along the coast make it a unique place. 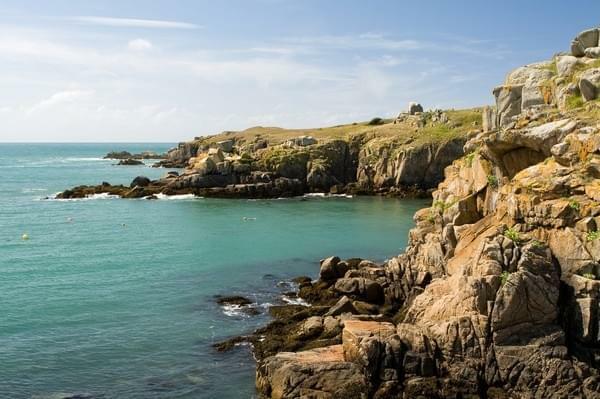 As a seaside town, housing possibilities are many and varied in Trégastel-Plage. The rates for the most economical hotel rooms start from 40 euros per night. We must push Perros-Guirec to find the facilities at the most attractive prices as the hotel of Europe. The nearby beach is a great asset of this two-star hotel. To truly enjoy your holiday to the sea, Hotel Beauséjour is an ideal option. Indeed, it is a residence 'the foot in the water' with incomparable ocean views. Additionally, you can choose its family rooms. The Saint Guirec hotel and the Beach is one of the best establishments in the city. It is a two star hotel which enjoys a pleasant environment on the coast of Saint-Guirec. Apart from its beautiful panorama and family benefits, you will also appreciate its well-kept garden.